I hate online quizzes, they’re just so dumb. (Ok I secretly love them). 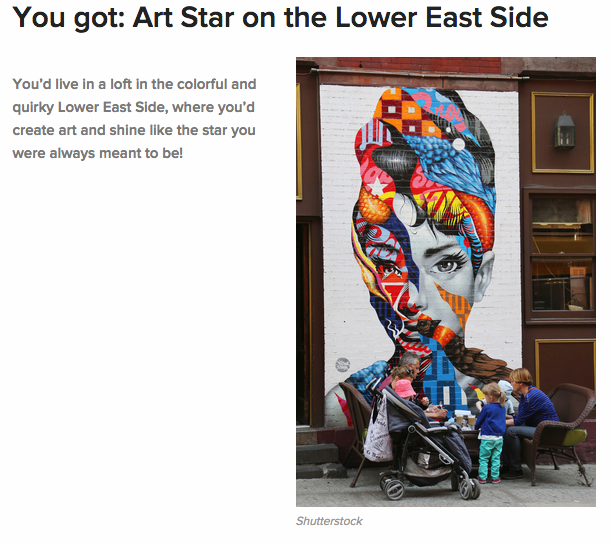 Here are my fave New York City Quizzes that will have you procrastinating in no time. Do Buzzfeed’s What Would Your New York Life be Like? quiz. It’s definitely one of those fluff quizzes, but I can’t stop doing it over and over again until I see all the options. Take Time Out NY’s What should you do with 24 hours in NYC? quiz. 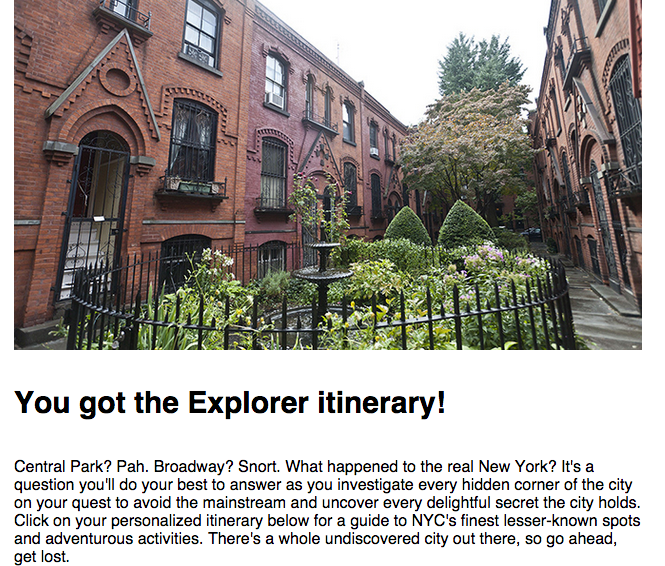 It’s great because it gives you an actual itinerary by the end of it, with some really interesting suggestions. Some of the things I had never even heard of! Secret Ramen? Secret gardens in the Financial District? So cool! 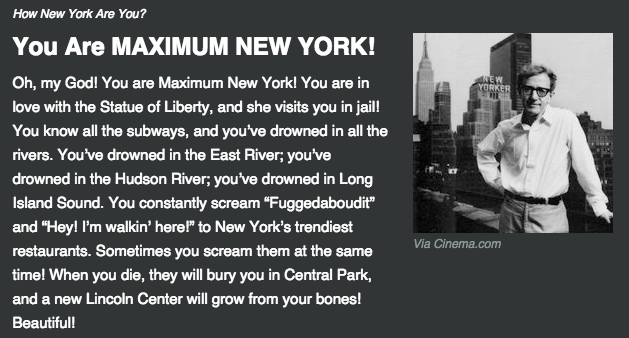 Take Clickhole’s How New York Are You? quiz. It’s just sarcastic enough to appease our dead souls. Take The New York Times Who Needs a GPS? quiz. Taxi drivers know all. This is the ultimate test. Get your Geography on.